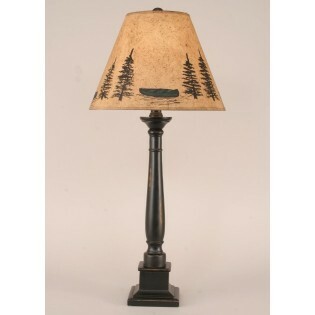 A chip wood shade with a pine tree and green canoe scene tops this rustic Black Canoe Candlestick Lamp. 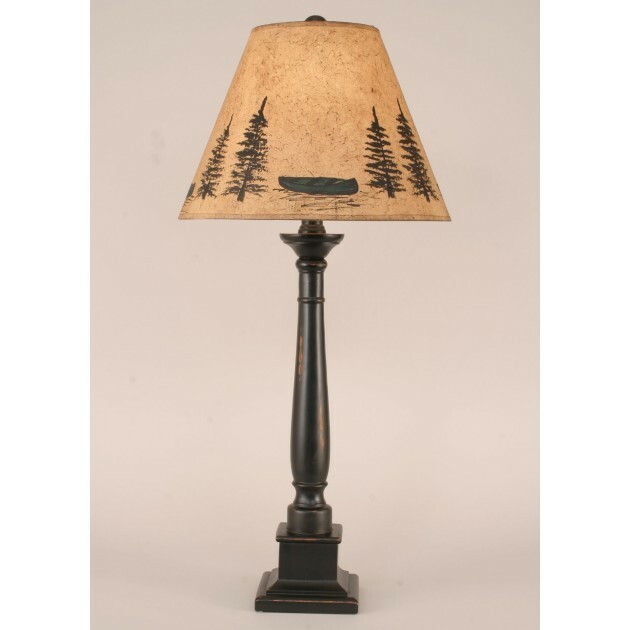 This lodge style lamp has a black distressed finish. Shade Size: 7" x 15" x 11"